Arfvedsonite is a sodium amphibole mineral. It crystallizes in the monoclinicprismatic crystal system and typically occurs as greenish black to bluish grey fibrous to radiating or stellate prisms. 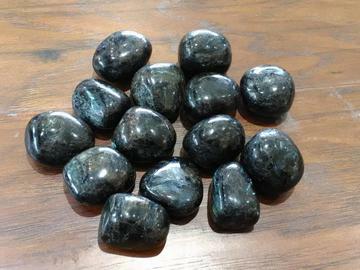 Arfvedsonite is a strong stone for spiritual growth. It helps to re-organize and restructure your life, bringing extraordinary insights and a strong positive vibration.